Does the addition of PrimaLoft’s new 100% recycled insulation make Vaude’s latest Freney IV good for the hillgoer as well as good for the planet? Many outdoor brands now produce environmentally friendly products, but Vaude has a longer association than most with the cause, thanks to its well established Green Shape criteria that sets out a rating system for its products. The company was also crowned Germany’s Most Sustainable brand in 2015. 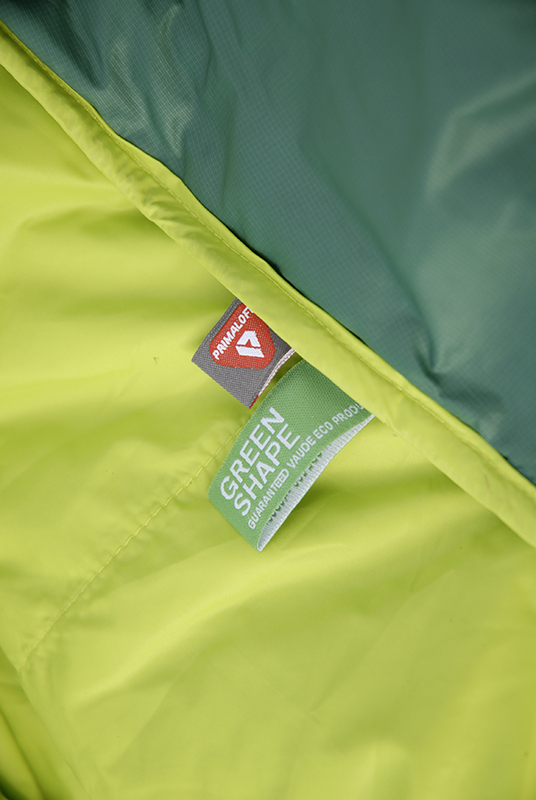 The latest Vaude product to adopt eco-friendly credentials is the Freney IV insulated jacket. The Freney has been around for several years, but from January its fourth incarnation will incorporate PrimaLoft Silver Insulation Eco - 100% PCR (post consumer recycled). This makes Vaude the first brand to use the latest PrimaLoft insulation, and it now plans to convert all its products that were using PrimaLoft Silver and Black insulation to the new 100% PCR version by the summer. Clearly Vaude could not have upgraded the Freney without the help of PrimaLoft, a brand with a wide range of synthetic insulated materials, and for many years the go-to brand for anyone designing a jacket with great synthetic insulation. So as the outdoor industry looks for more sustainable materials, it is brands such as this that supply designers with the materials they need to transform great ideas into, hopefully, great products. Silver Insulation Eco - 100% PCR is PrimaLoft’s newest innovation, and it is made entirely from recycled post consumer (PCR) polyethylene terephthalate (PET) drinks bottles. Special recycling processes transform the PET into a material that’s finer and softer than cashmere. It has a high density of fibres and unmatched thermal properties, and just nine recycled PET bottles are needed to produce one insulated jacket. This means that since 2015 PrimaLoft has saved more than 84.7 million plastic bottles from landfill, and by 2020 it plans to produce 90% of its insulating products with at least 50% recycled material. Vaude’s use of 100% PCR insulation in the Freney IV has resulted in a jacket that is both lightweight (356g for size L) and packs down to just 2 litres in volume. It’s not light on features though, with a hood, two zipped hip pockets, a zipped chest pocket and a full-length front zip. The cuffs are elasticated and there is a hem drawcord that can be adjusted through the inside of the right-hand pocket. You can also stuff the jacket into the zipped left-hand pocket for easy storage. Get it on and the jacket feels warm instantly, making it great for taking the chill out of an autumn or spring mountain summit rest. It also offers a good level of insulation on the move and when worn under a waterproof for winter hillwalking. You’ll probably need something a little warmer for sitting around on the tops in full winter conditions in Scotland though, making this a good jacket to keep in your rucksack for all but the absolute coldest of British mountain days. But there are drawbacks. The fit is not ideal as there is no adjustment in the hood, and on me it was just a bit loose around the face and didn’t turn with my head. The cuffs also weren’t as snug as I would like when sitting on a chilly summit and taking in the sunset. While I do like that the chest pockets take an OS map or guidebook easily, it would be good if the lower pockets could be accessed while wearing a rucksack, just so that I could occasionally wear this while walking with a rucksack if needed. To be fair, many insulated jackets have these same drawbacks, so this isn’t unusual, but it’s a pity that yet another jacket doesn’t quite live up to the expectation of greatness that some elements of the design achieve. For the price, the Freney IV sits well alongside other synthetic insulated jackets, with similar pros and cons. The weight is good too, and slightly lighter than some other jackets. So in terms of value for money this is a great jacket, and when compared to others it is up there sitting shoulder to shoulder. Of course, the real benefit here is the use of PrimaLoft’s Silver Insulation - 100% PCR material, and as this is the first jacket to feature this material, it stands head and shoulders above its nearest competitors for those who value first-rate environmental credentials. While setting new standards for its environmental clout, the Freney IV also performs well on the hill when compared to its nearest competitors. Some fine-tuning of the fit would make it even better though, and in terms of insulation it is best used for the less chilly mountain weather of spring and autumn days rather the coldest days in the depths of a British winter.